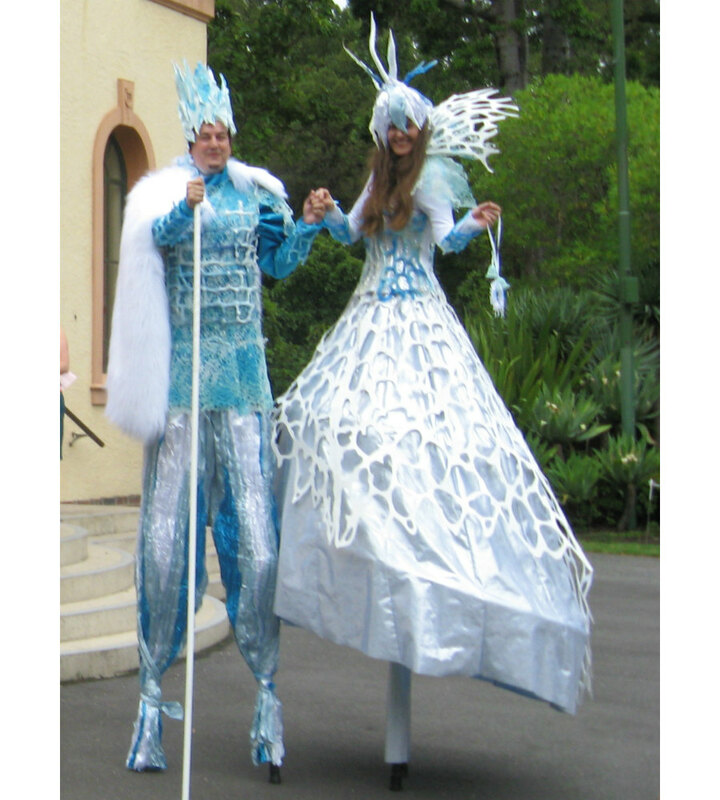 The Ice King and Queen are the most sophisticated ice themed stilt walkers in Melbourne. Their costumes are breath-taking. 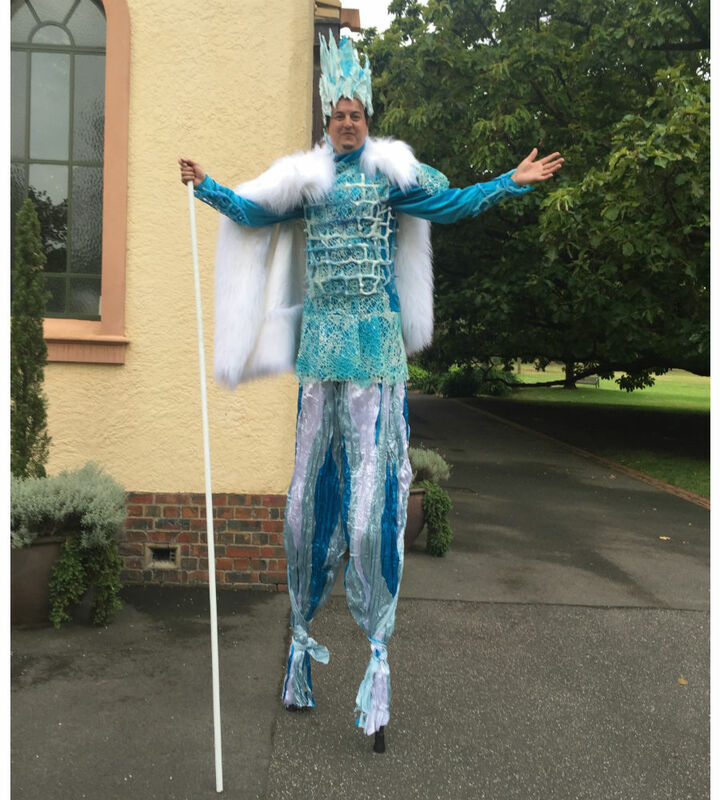 The Ice King and Queen are perfect entertainment for food and wine themed events, winter wonderlands and for bringing a touch of the North Pole to our Australian Christmas. 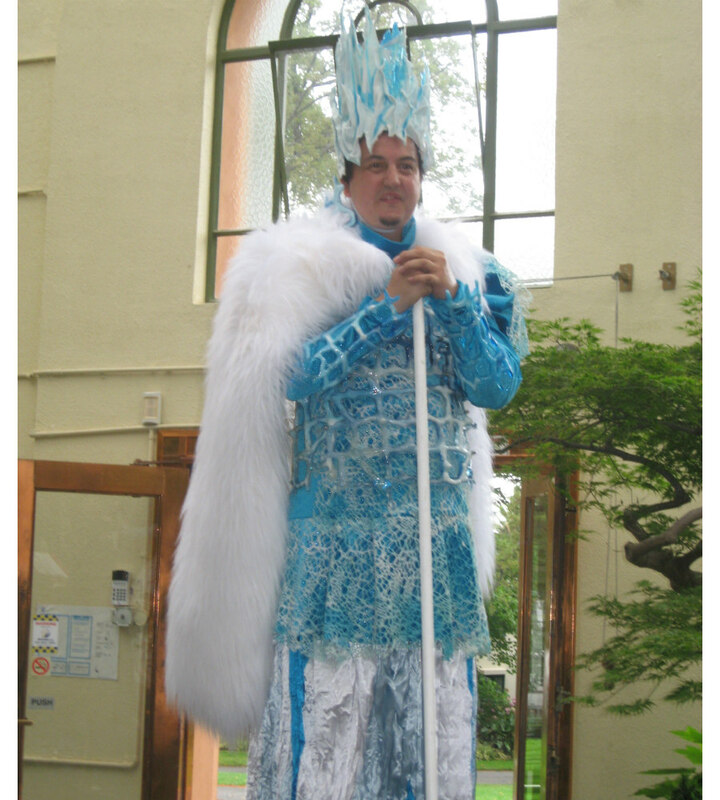 The Ice King & Queen have resin incorporated in to their costumes which appears as sheets of ice and icicles. The Ice King and Queen incorporate beautiful masculine and feminine elements. 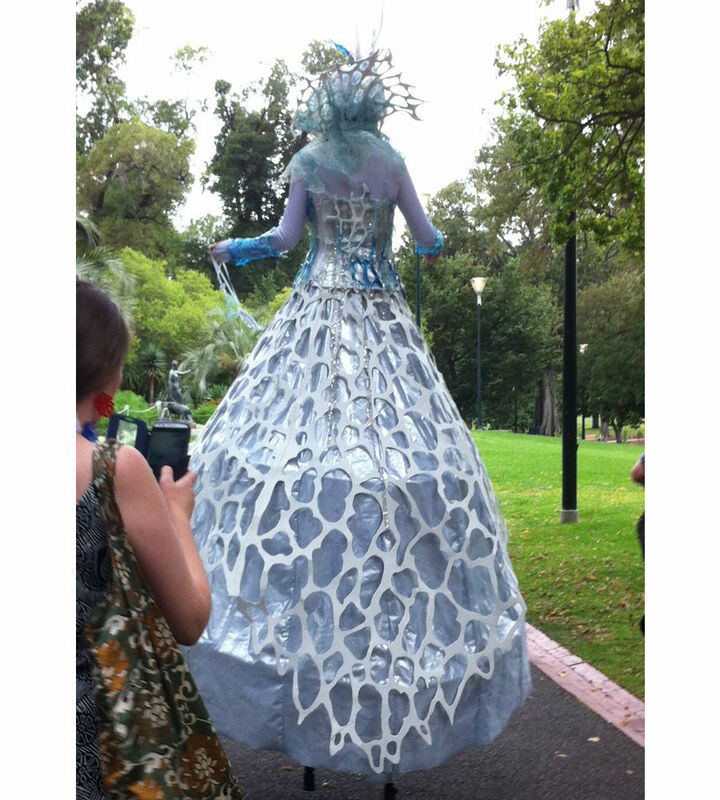 The Co-Directors of Stilt Walkers Australia thought that these costumes were so magnificent, that they got married in them! 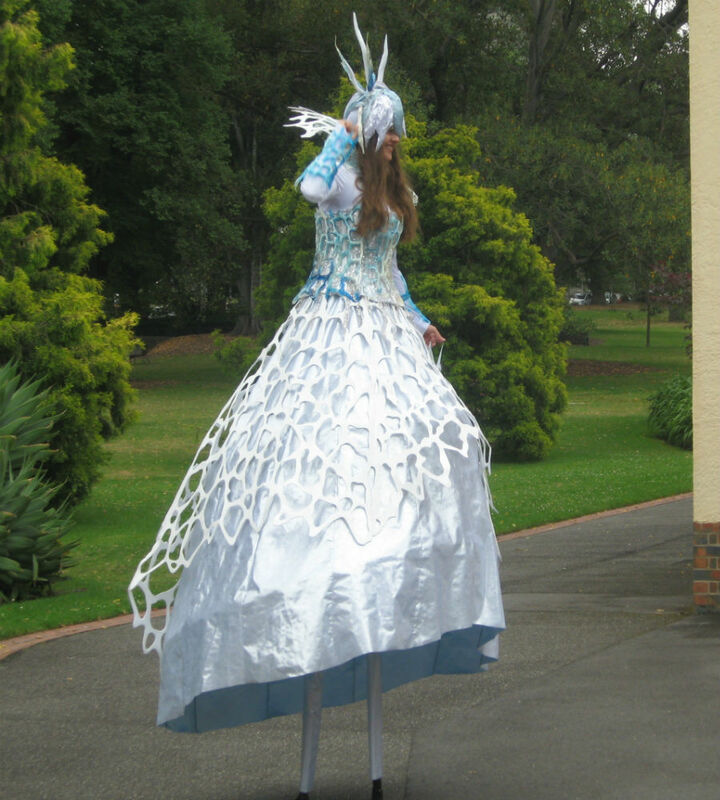 These Melbourne based stilt walkers have perform all over Australia including appearances at the Rockhampton River Festival and shopping centres such as Woodgrove Melton. 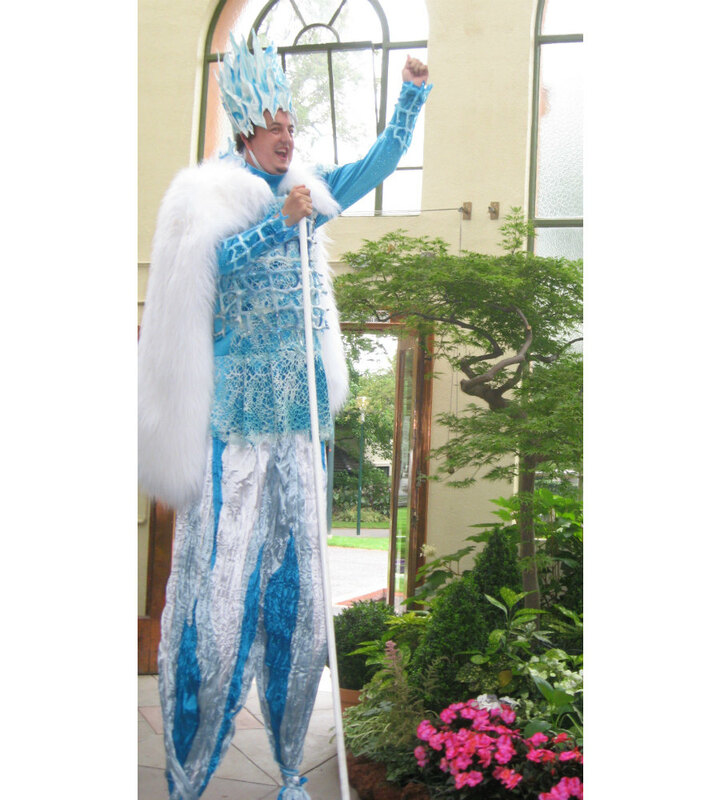 The Ice King and Queen are available as duo or solo performances.